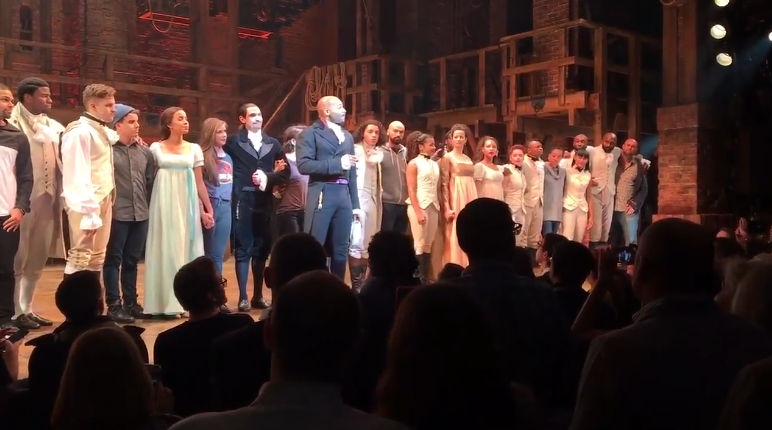 Lin-Manuel Miranda, creator and star of acclaimed Broadway musical "Hamilton," performed in the show one last time on Saturday night. The performance and awards ceremony is set to happen less than a day after the deadliest mass shooting in U.S. history. Hamilton has continued its banner year with 16 Tony nominations, the most ever given to a single production in the awards' 70-year history. "Hamilton" joined cartoonist Jack Ohman, critic Emily Nussbaum, writer Kathryn Schulz and others that were honored at the Pulitzer Prize announcements Monday. NEW YORK — Democratic presidential front-runner Hillary Clinton and New York City Mayor Bill de Blasio have come under fire over a comedy skit that some people feel was racially insensitive.